It takes a whole lot of time to prepare the veggies and the gravy for the main course, and we hardly have that kind of time on a busy weekday! 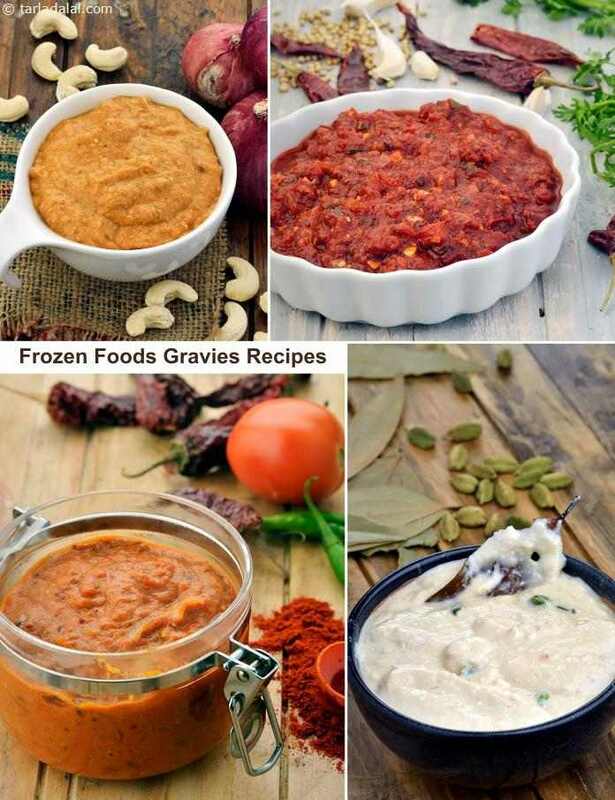 So, what you can possibly do is prepare some popular gravies and store them in the deep freezer. Just thaw the frozen gravy, add some boiled veggies or paneer and cook for a minutes; and there you have the most delicious home-cooked meal in front of you without tiring yourself! The Kolhapuri Gravy is a nice and spicy, typically Indian gravy, which goes very well with mixed veggies and paneer too. When you are in an indulgent mood, the Makhani Gravy is just right to pamper yourself. Nice and creamy, it is the perfect base for succulent cubes of paneer.